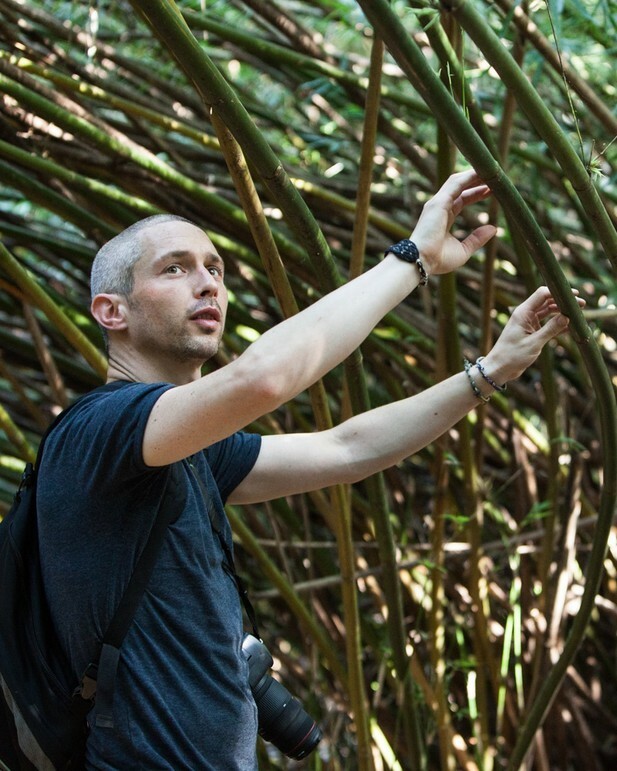 Brian Bradshaw, inspecting a bamboo plantation. Photo: Eoin Holland Photography. What attracted you to studying regeneration? My undergraduate degree was in zoology, and my main areas of interest in the early part of my studies were ecology and conservation. However, I took a few modules in developmental biology and biochemistry and quickly developed a keen interest in molecular science. Regeneration is such an interesting topic, and the fact that one animal can seemingly regenerate robustly and another cannot has always fascinated me. Everybody can understand regeneration—it is basically the return or restoration of missing tissues and organs—but the exact processes underlying it can be a little more complicated. The ability of stem cells to self-renew and develop into many different cell types is a key factor during regeneration. I am really looking at the roles of different cell types, specifically stem cells, and the changes they go through before, during and after regeneration. We found that certain species of cnidarians, such as Hydractinia echinata, can regenerate in more than one way (Bradshaw et al., 2015). Regeneration of the head is completed by the migration and proliferation of stem cells that form a structure called a blastema at the site of regeneration. We tracked these migrating stem cells—the first time this has been done in living invertebrates —as the head regenerated. We then showed that the regeneration of a structure called the stolon (a circulatory system) occurs in a completely different way. This begins with the tissue changing from one type to another, out of which a new colony can regenerate. It was already known that different cnidarian species regenerate using different methods. Our paper reveals that different tissues within the same individual can also use different methods to regenerate. The ability of Hydractinia to regenerate using a blastema, as many vertebrate species do, also suggests that some mechanisms are conserved across different phyla. Therefore, certain species may have lost the ability to regenerate due to small changes to this underlying system. Currently I am investigating the role of a number of known pathways that are involved during regeneration in other animal groups. I am testing what role they may play in the proliferation and migration of cells during regeneration. It would be very interesting to show what methods and signals are used to trigger both cell migration and regeneration, especially if the same systems are employed in other species. The most rewarding experience is without doubt having my research published. It is extremely gratifying when other people find your work and ideas interesting and being published is reward and acknowledgment for all the long hours and weekends spent pipetting at a fume hood and with my head stuck in a microscope. There hasn’t been a single worst moment in the lab that really stands out. The hardest thing is to keep motivated and focused when things are not going as planned or if you have a number of negative results. These moments are definitely the hardest. I don’t think that one single person or event has influenced my career so far. From a young age my parents and older brother brought me hiking and camping which had a big effect on my life interests. As a child I would love to watch nature and science documentaries on television and I would spend hours watching programs from both David Attenborough and the Irish naturalist Éamon de Buitléar. These documentaries really shaped my interests in nature and made me want to pursue a career in biology. I think I would provide more funding to basic research. It is always the first hit during tough financial times and is the poor relative compared with targeted research which always receives the vast majority of funding. Basic research is often a leap into the unknown but it is what gives us new ideas and opens up new areas of research we may never have known existed. The lack of security for new postdocs can make pursuing a career in research extremely difficult. Many positions are two year contracts and you can often be applying for funding early into a new contract. If more long-term funding was available to early-career scientists it would make a career in research far more attractive. I want to pursue a career in research, so in ten years’ time I would like to have my own research group with the safety and security of a permanent position. I can’t think of any to be honest. Though everybody gets on very well I guess one liners are not that big in our lab. I enjoy running, hiking and am a keen amateur photographer. Yes. It can be very tricky planning anything as experiments can change daily. I try to jog or play squash weekly but as deadlines loom and get closer all focus tends to be on my work. No – she is a Montessori teacher and is based in Dublin. She moved to Dublin 3 years ago as there was little work in Galway. Long distance relationships can be difficult but we see each other every weekend and make the most of our time together. I was once bitten by a shark—or more accurately a baby white skate—while hand feeding it when I worked in an Aquarium in Galway.